UPDATE: FYI smoking cabin has been closed for last 6 weeks. And no info on when available again. Feedback from Andy T. on the 20th Jan 2019. 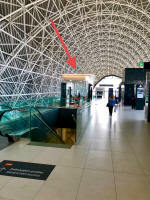 Confirmed Smoking Cabin in front of Gate 26. Thanx to Patrick for the feedback and photo below on the 9th May 2018. 31st May 2017 Update from G.M. 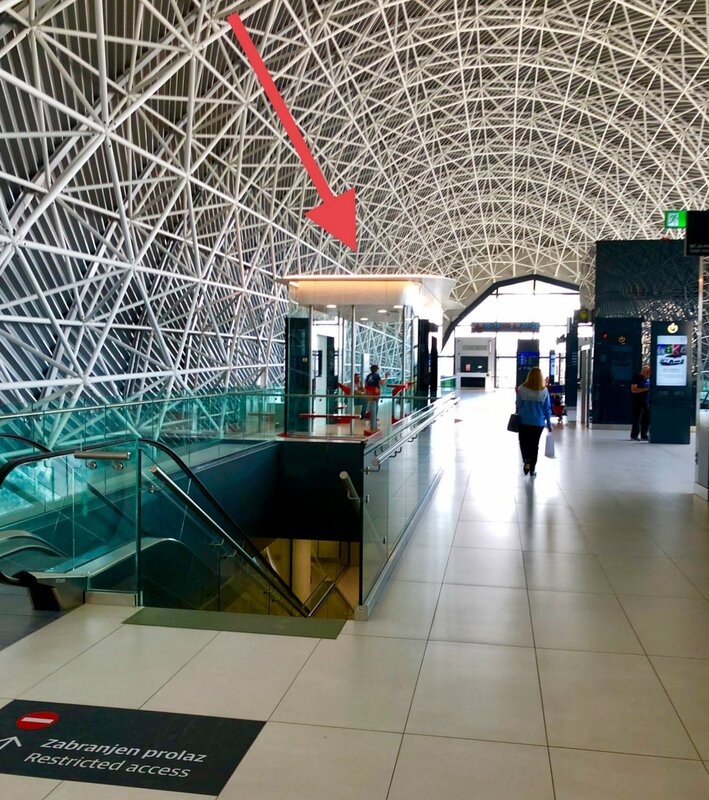 : A sign has now appeared at the airport stating that "Smoking cabins are coming soon" or "Kabine za pusenje uskoro", be warned though at present you may not be able to smoke in the airport. Photo below. There is a smoking area on the 2nd floor after security. 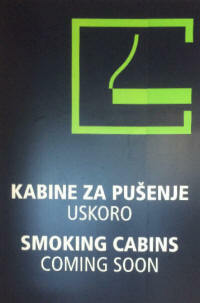 Franjo Tuđman Airport is a smoke-free airport, in line with Croatian law on smoking in enclosed public spaces. Smoking is permitted in designated areas within the Passenger Terminal Building smoking cabins located at the 2nd floor of the International and Domestic Departures. If you are catching a connecting flight in Zagreb, please note that smoking is not permitted during the connection process, except in dedicated smoking cabins. Electronic cigarettes: Passengers are not permitted to use electronic cigarettes within our premises. Should you intend to carry cigarettes in your hand luggage, please check with your airline to ensure they are allowed on board the aircraft.